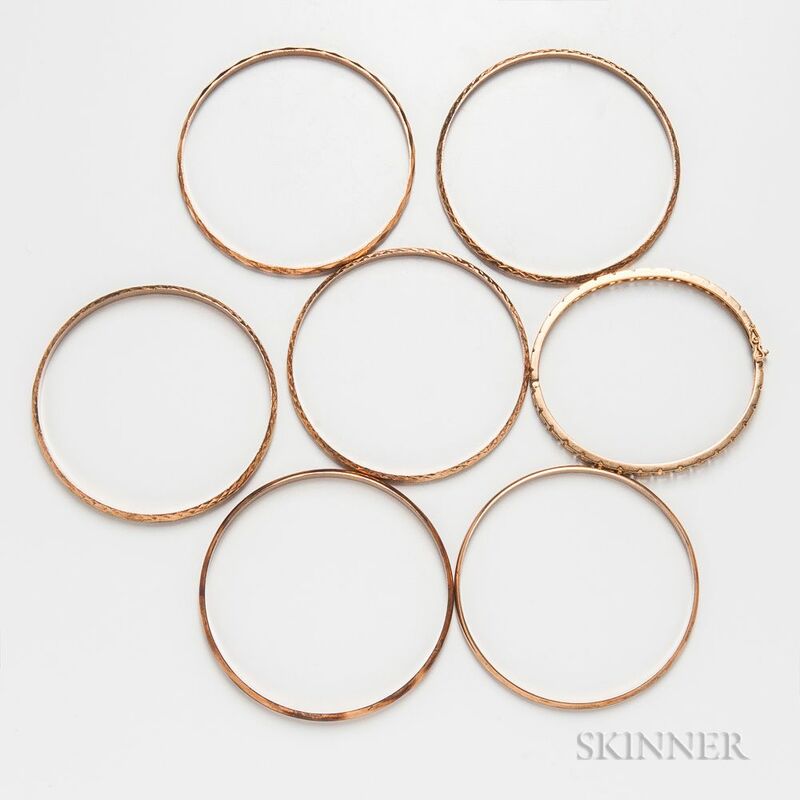 Seven 14kt Gold Bangles, one hinged, most with engraved designs, total 27.3 dwt. 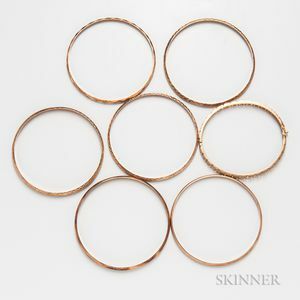 The hinged bangles inner dia. is 2 1/2 in. The other bangles have an inner dia. of 2 5/8 in.